. 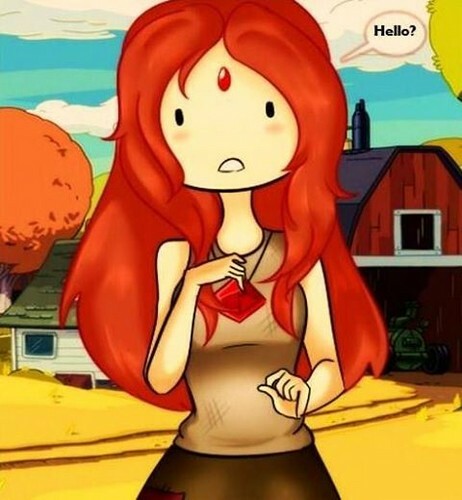 :Flame Princess Farmworld:.. . Wallpaper and background images in the ফিন ও জ্যাকের সাথে অ্যাডভেঞ্চার টাইম club tagged: adventure time flame princess farmworld. Oh, so... How would she die? Nah, don't mind me. I think randomly sometimes. This is 1000 years from the Mushroom War. I know that it was made by a fan; specifically Rumay-Chian on dA. Why do you think I put it under 'fanart'? It's about the description of the picture. It isn't really a fact. Please use your common sense instead of trying to find ways of being making me look bad. Understand the statement. I really find it offensive when you do that to me.